In this chapter, you will be introduced to the Task Management application which allows you to manage all collaborative activities under tasks. This application is aimed at improving the way that a team focuses their efforts on a project and communicates to get work done. Management views: Two views (Board and List) that provide you with different ways to manipulate your tasks. Project workflow: The list of statuses that tasks in a project can take. By default, a new project will have the following workflow: To Do, In Progress, Waiting On and Done. 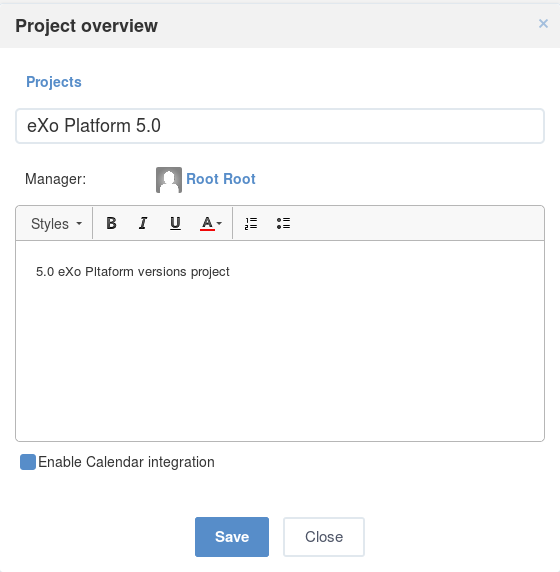 Alternatively, you can change the project workflow later in the Board view. To Do: tasks which will be done in the future. In Progress: tasks being handled at that time. Waiting on: tasks waiting a decision or a validation i.e. awaiting a third party. Done: tasks on which work is ended. Changing the default workflow for new projects is done only by the administrator, see this section for more details. Sub-project: A project can have any number of sub-projects and a sub-project can also have an unlimited number of smaller sub-projects. These sub-projects will inherit permission and workflow from their parent project at the creation time and you can change them later. 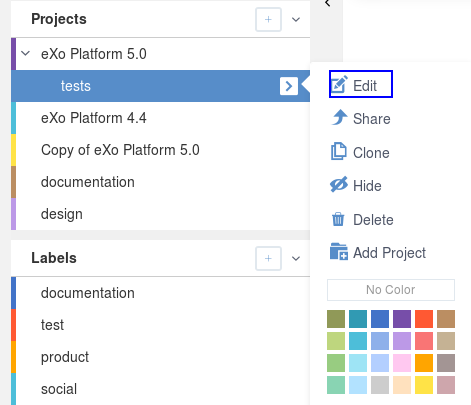 Space project: For each new space, a project with the same name will be automatically created when the Tasks management application is added to the space. The Tasks management overview is divided into three main areas, including left, central and right panes. 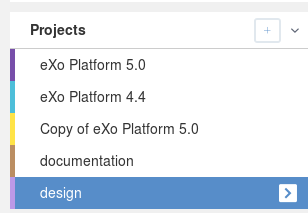 Incoming: filters tasks that are not yet assigned to a project. This filter also excludes completed tasks by default, but you can change this by using the top Filter feature. All Tasks: shows unfiltered list of all tasks assigned to the current user. Overdue: filters tasks with a past due date. Today: filters tasks that are due today. Tomorrow: filters tasks that are due tomorrow. Upcoming: filters tasks that are due in future. 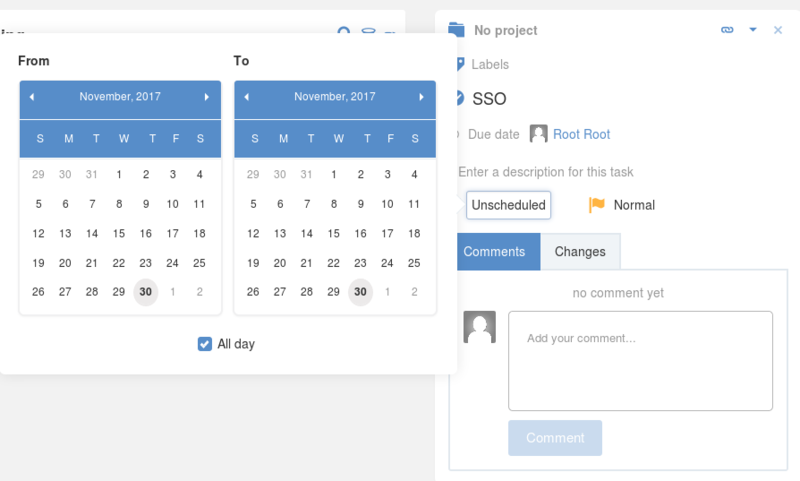 Projects: manages tasks by projects. Specifically, you can manage the workflow of tasks that are assigned to a project. 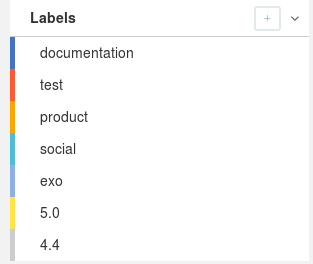 Labels: manages tasks by labels. 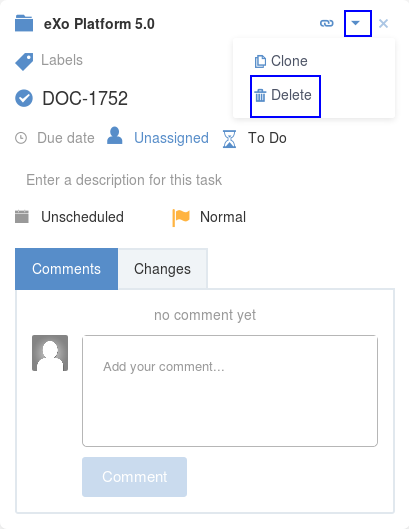 You can set any label on a task to classify it for you to manage your tasks more easily. This pane is used to display tasks filtered via the left pane and top Filter. 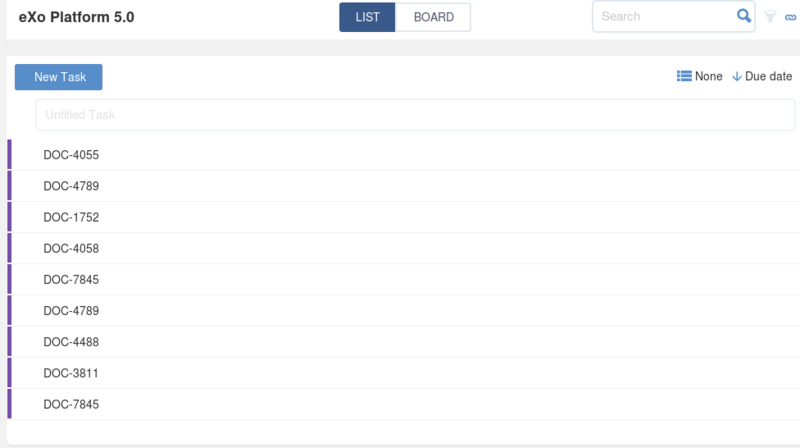 In case you are in a project, a Board view is provided so that you can manage the project’s tasks more easily. This pane displays details of the task that is selected from the central pane where you can modify any information of the task. 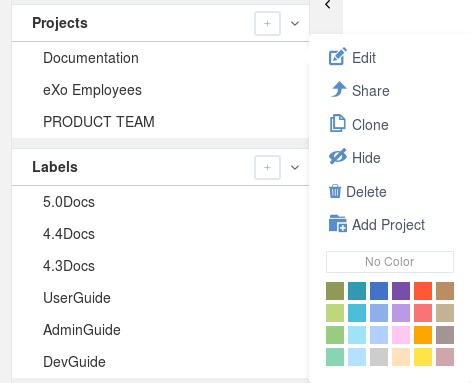 Inside spaces, the Tasks management overview is similar as above, but the project list is filtered to display only projects that are accessible for the members of the spaces. 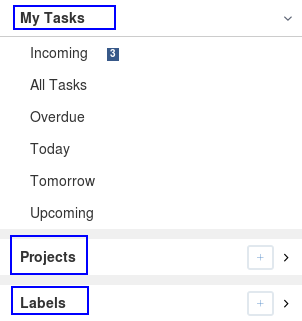 Besides, there will be no Incoming filter on the left menu and clicking on a label will display only the tasks with the selected labels in the spaces’ projects. The reporter: is the task’s creator, able to add, edit and comment any of his tasks. The project participant: he maybe the task’s assignee or coworker, able to comment, edit add and delete tasks on the project. He can not delete tasks he not the creator. The project manager: he could be the project creator, the space manager or the platform manager (i.e the super user root or from platform/adminstrators group). 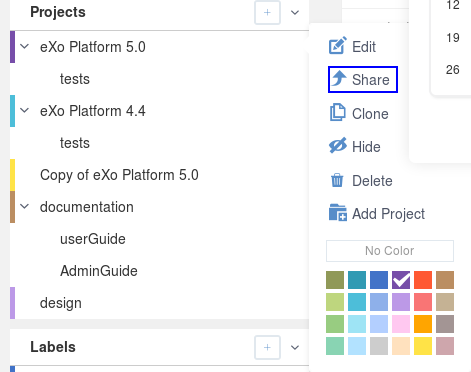 Users having this role have the same permissions as a project participants and they are also able to edit the workflow, create subprojects and also delete any task in the project. The observer: is a user who have been mentioned in the task and is not a participant, is just able to view the task. In tasks application under a space, all space members get automatically the participant role. Anyone can create personal tasks. In project’s frame, managers and participants are able to create tasks under their projects. 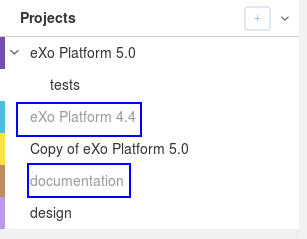 Creating a task in eXo Platform is designed as an effortless operation, so you just need to follow one of the following ways. Click any items (except Overdue) under the Tasks, Projects or Labels sections. Hit Enter key to create this task. that filter and automatically assigned to the currently logged-in user. Note that for the Upcoming filter, the due date will be the next seven days, while for the Today and Tomorrow filters, the due date will be today and tomorrow respectively. belong to that project or labelled to that label. Besides, by default it will not be assigned to anyone. Setting priority: !task_priority. Recognized priorities include High, Medium and Low. Setting due date: ^due_date. Recognized syntaxes include Today, Tomorrow, Monday, Tuesday, Wednesday, Thursday, Friday, Saturday, Sunday, Next Week, Next Month and dd-mon (e.g 12-apr for 12th April). Tag: #tag. The tag will be created if it does not exist. Anyone that has access permission to a task can do anything on the task. By default, tasks inherit permissions from the project they are in. Therefore, all members and managers of the project are able to access these tasks. In case they are not assigned to any project, only the creator, assignee and coworkers are granted the access permission. : the name of the project that the task belongs to. In case the task is not assigned to any project, this field says “No Project”. that project. Besides, a task should belong to only one project, so you should remove the existing project from the task before adding a new one. 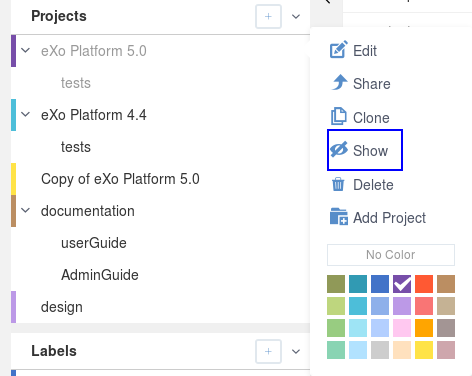 If you move a task to another project, its status will be set to the same one in the new project workflow (statuses must match alphabetically to be considered the same). If no status matches in the new project workflow, the status is set to the first one in the new project workflow. : the labels that are assigned to the task. : the title of the task which should be from 1 to 250 characters. : the due date of the task. You can choose among 4 options, including None, Today, Tomorrow and Next Week or specify any other due date. : the assignee and co-workers that are assigned to the task. Only one assignee is accepted, while you can add multiple co-workers. : the status of the task in the project workflow. Note that this information is available only for the tasks that are assigned to a specific project. : the schedule of the task. If no schedule is specified, this field says “Unscheduled”. To remove the current schedule, hover cursor over it and select the deletion icon that appears. : the task priority. You can choose between 4 values, including High, Normal, Low and None. 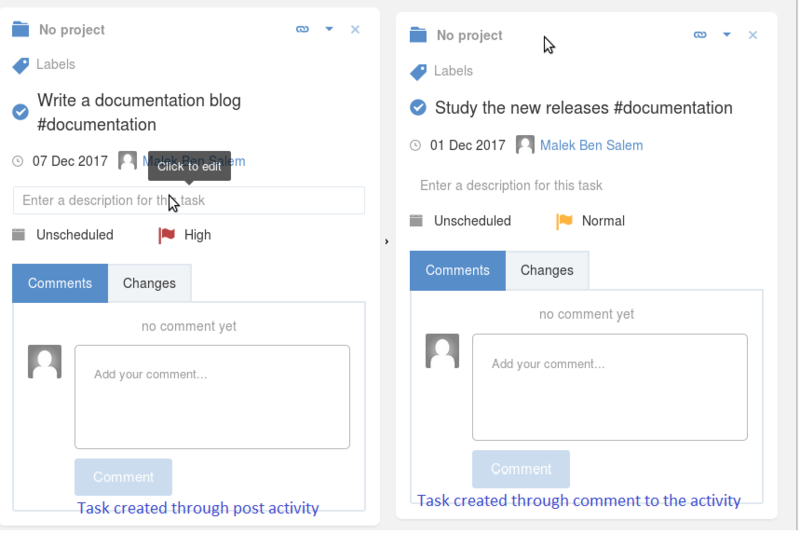 : the Comments tab allows people to discuss about the task, while the Changes tab shows all changes history of the task. 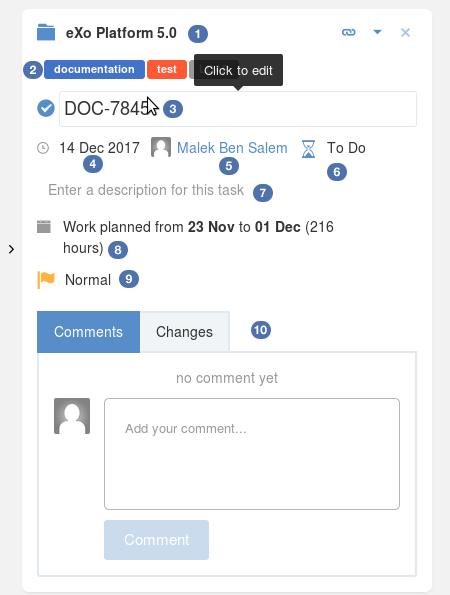 : the Mark as completed feature, clicking this icon will mark the task as completed and it will disappear from the List and Board views unless Filter is set to show completed tasks. Hover cursor over any information and click it that you want to edit. 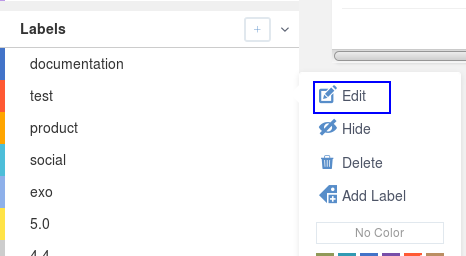 Make changes on the task, then hit Enter key or just click out the edited field. : Select the list of tasks by clicking on All Tasks. : Select one of the assigned/created tasks. Two calendars appear to select From and To dates. If the To date is chosen after the due date, a message appears to warn that you may miss the deadline because you planned the work too late. 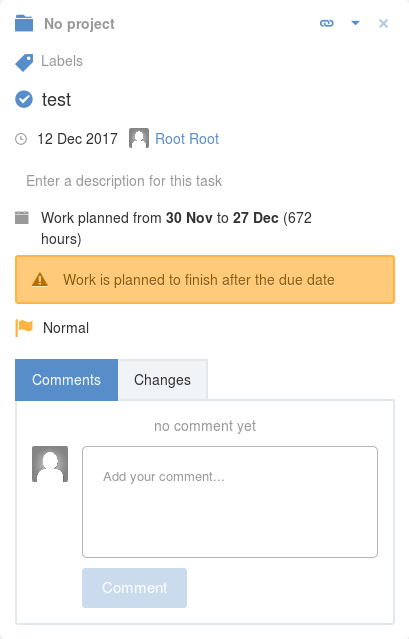 If the To date is chosen before the due date, the message that appears indicates that the work is planned between the chosen dates. When the today’s date is the task’s due date, a blue exclamation mark precedes the task’s name in the list/board view. You will get the permalink to share the task. 2. 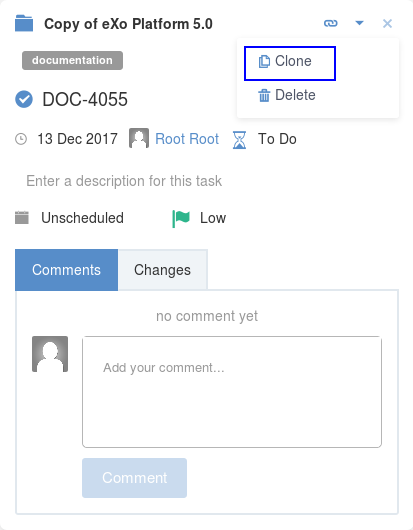 Select Clone to clone the task. The cloned task will have the same name with the original task and be prefixed by “Copy of”. Click OK in the confirmation message to delete the task. This action is available to the task creator and the project manager only. 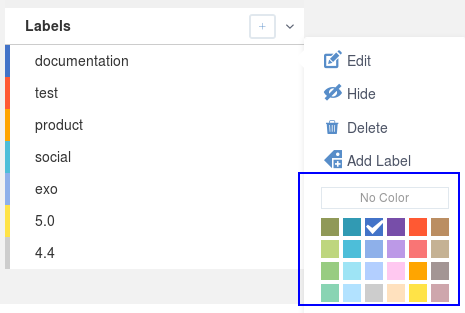 The central pane by default will list all the tasks depending on which task filter, project or label is selected. This could be difficult for you if there are too many tasks available. The Tasks management application offers you a useful tool to narrow these tasks by specific information. 1. Click the filter icon at the top right corner of the central pane. The Filter form will be shown on the right pane. 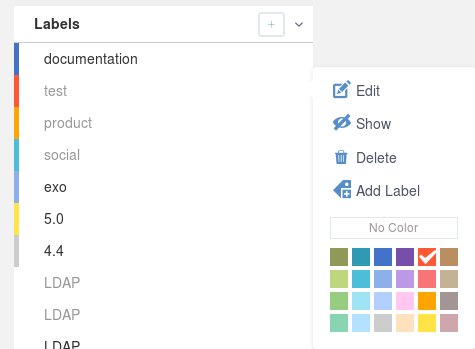 Contains: filters tasks that have the title or description matching the input text. 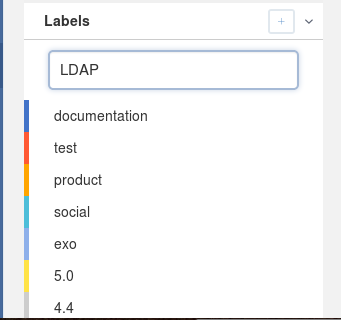 Labels: filters tasks that contain the input labels. Due: filters tasks by due date. Priority: filters tasks that have the selected priority. Show completed tasks: filters tasks that are completed. Unchecking this box will show uncompleted tasks. Depending on the view you select from the left pane such as Task filters, Projects or Labels views, some of the options above may be disabled. 2. Change any information above. 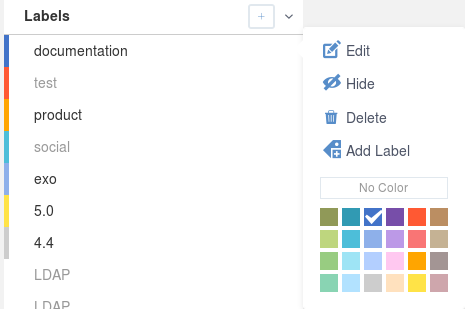 The central panel will reflect instantly to list only the matched tasks. 3. A Close icon on top-right corner of the filter panel closes it. But the values are remembered and filter remains active. It turns blue when it is activated which means that the central panel is filtered. It is grey when it is inactive which means that the central panel is not filtered. 2. Select Add Project, a pop-up form will appear for you to enter your project information. 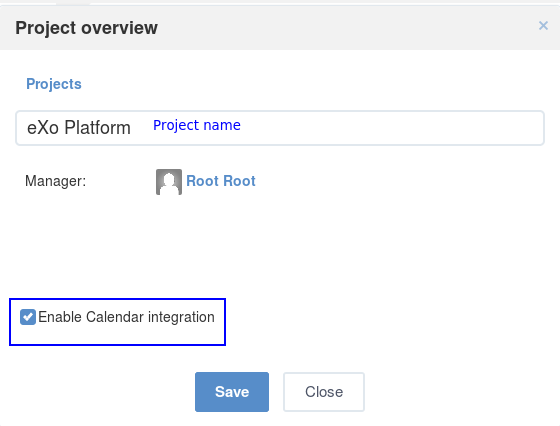 If you wish this project and its tasks to be displayed and synchronized in the Calendar application, check the box that says “Enable Calendar Integration”. The length of project name should be less than 100 characters. Sub-projects DO NOT inherit the task calendar from their parent. 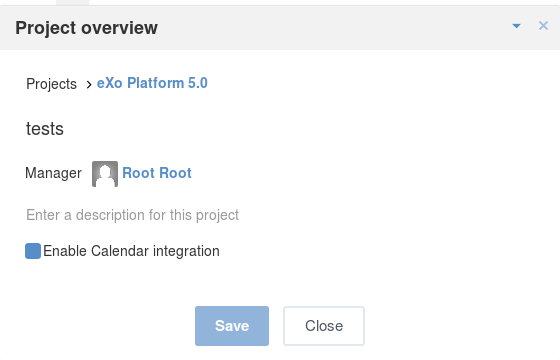 Instead, they come with their own calendar if the Calendar integration is enabled. Click Save to finish creating your project. Click Edit to view its details. 3. Change any information by clicking it, except the manager of the project that can not be modified. For a space project, by default the manager of the project and its space is the same. Click Save button to save your changes. In which, you can choose to share your project to others via Manager and Participant permissions. Participant permission: allows to add, edit, view and comment on tasks of the project. Manager permission: in addition to the Participant permission, allows to edit, delete and share workflow of the project. Click corresponding to each permission to add more users. Space members automatically get Participant permission to space projects. Space managers automatically get Manager permission to space projects. 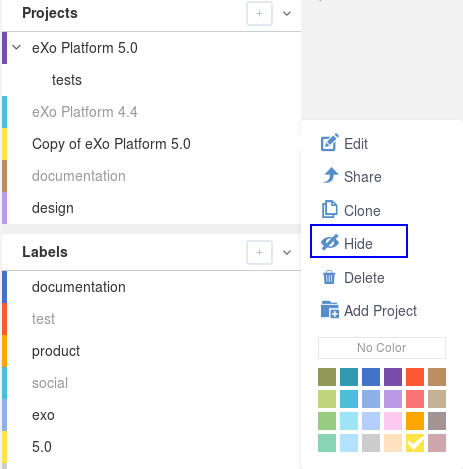 In case a user has share permission on a sub-project but does not have permission on the parent, the parent is still visible in the project list on the left pane but it is impossible to see in details. Click Close button to close the pop-up. 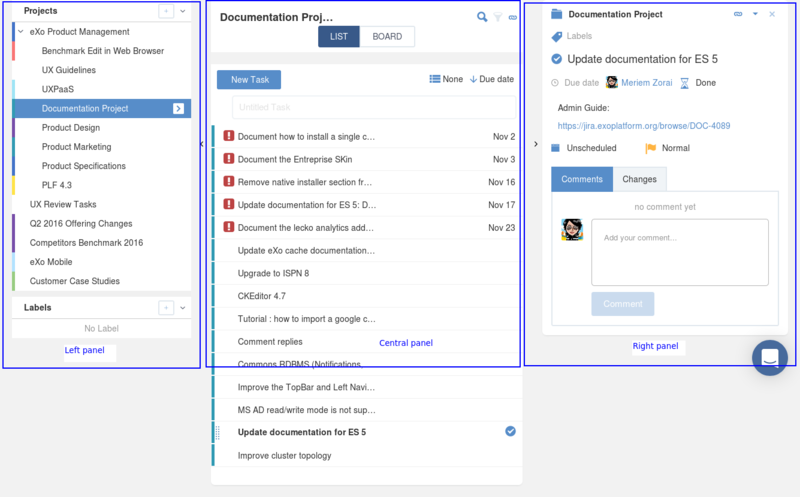 Tick the checkbox that says “also clone uncompleted tasks.” if you want to clone all uncompleted tasks of the project as well. Click Clone to finish cloning the project. The cloned project will have the same name with the original one and be prefixed by “Copy of”. 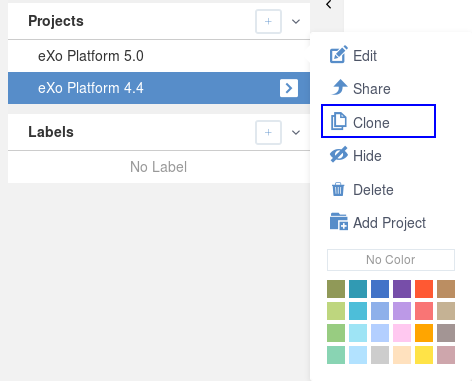 A cloned project inherits the workflow, permission, description, color, due date and parent project of the original one. This project and its sub-projects will disappear from the left menu. Hiding projects is just a personal display setting, therefore it is not applied for other users. To show a hidden sub-project, you should show its parent first. 2. 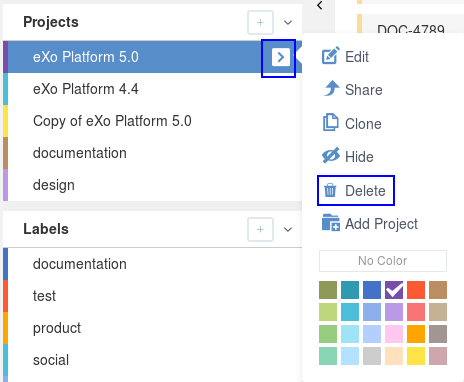 Tick the checkbox that says “also delete all sub-projects.” if you want to delete all sub-projects or untick it to move all sub-projects to the grandparent project. Click Delete button to finish deleting this project or Cancel to skip this. 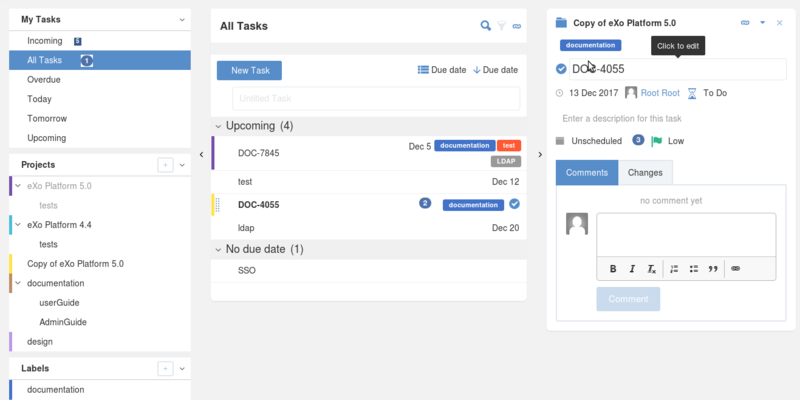 The Task Management application provides you with another tool to classify tasks on your own, which is called Labels. 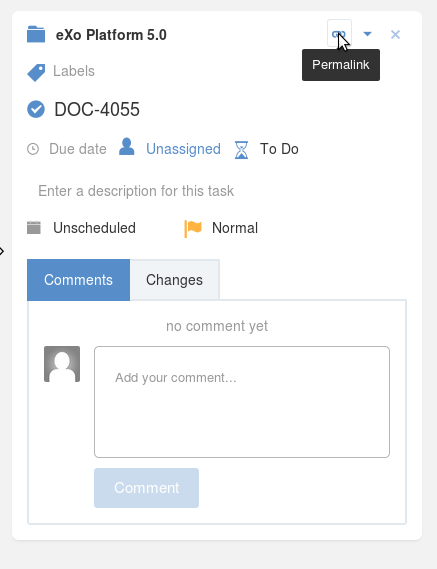 You will be able to personally label your tasks and this will not affect other users as well as noone can see them but you. In the second way, the created label will be a sub-label under the corresponding label. 3. Press Enter key or just click out the box, you will see the newly created label. 2. Change the parent and/or name of the label. Note that the label name should be less than 100 characters. Click Save button to save your changes or Cancel to skip this. This label and its sub-labels will disappear from the left menu. To show a hidden sub-label, you should show its parent first. 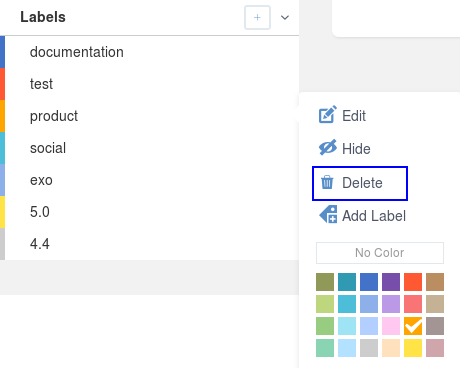 Click Delete button to finish deleting this label and its sub-labels or Cancel to skip this. The ! symbol in red indicates overdue tasks that have not been completed on time. The ! symbol in blue indicates tasks that need to be done today. The task will disappear from the List view unless Filter is set to show completed tasks. 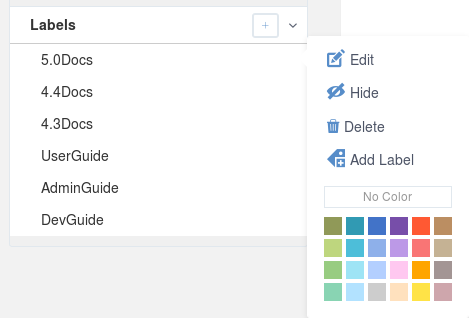 At the top right corner of the central pane, there are two options under the top filter that help you to sort and group tasks in categories. Created Date: sorts by the created date of tasks, with the most recent tasks on top. Due Date: sorts by the due date of tasks, with the oldest tasks on top. Title: sorts by the task titles in alphabetical order. Priority: sorts by the task priority, with the highest on top. Rank: sorts by the task rank. Assignee: groups by the tasks’ assignee. 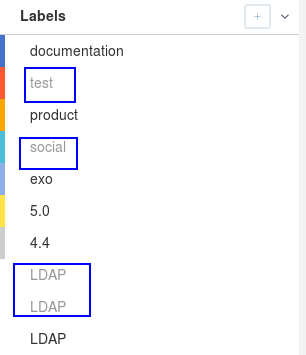 Label: groups by the tasks’ label. Due Date: groups by the tasks’ due date. Status: groups by the tasks’s status in a project. Depending on the view you select from the left pane, such as Task filters, Projects or Labels views, some of the options above may be disabled. 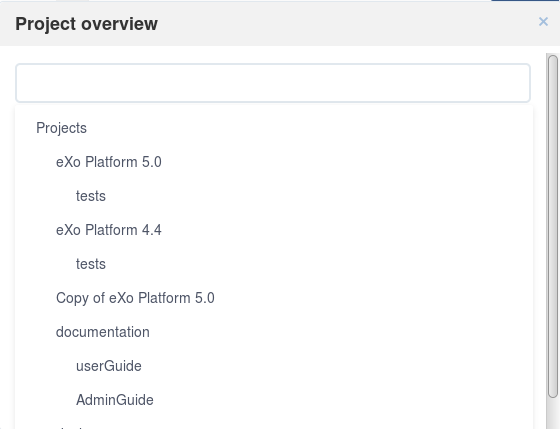 Each column corresponds to a status of the project workflow. The color of a task card depends on its priority: High - Light Red, Medium/Normal - Light Orange, Low - Light Green, None priority - Light Gray. 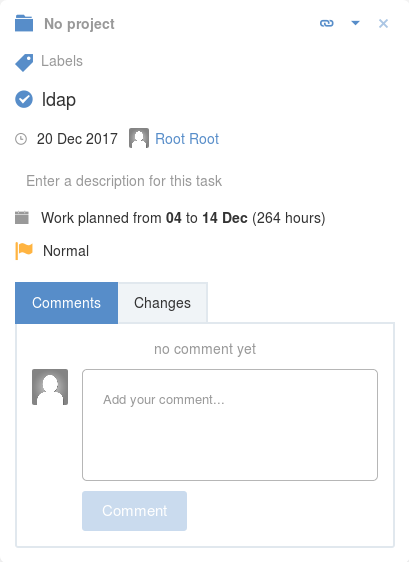 The number of tasks in a column is displayed next to the status name. 2. Type the task title in this field, then press Enter key. Your new task will be created immediately in the corresponding column. 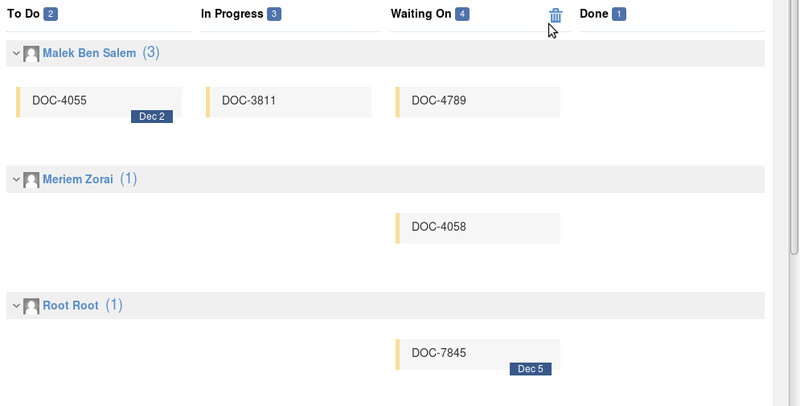 You can sort these tasks by the Due Date, Priority and Rank options as well as group them by the Assignee, Label and None options as in this view. 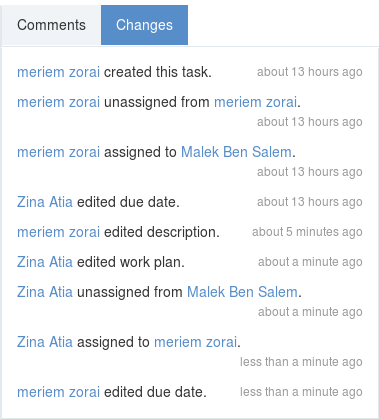 You can drag/drop tasks back and forth between assignees, labels and statuses. By default, your project will have a workflow with four statuses including To Do - In Progress - Waiting On - Done and you can change it on your own. Press Enter key to finish updating. 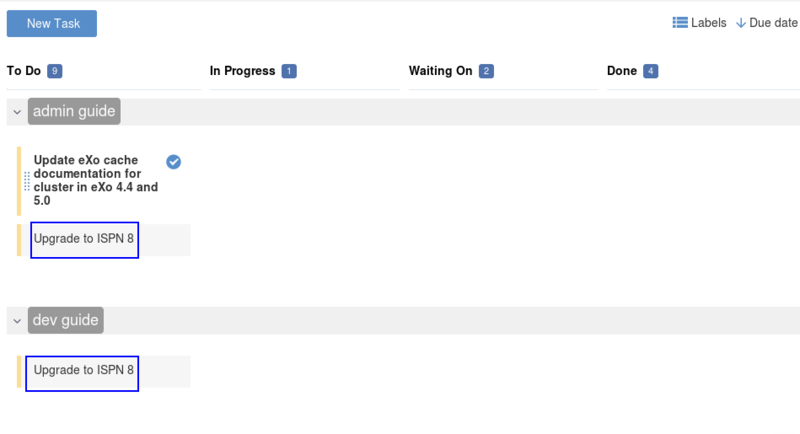 All tasks assigned to the deleted status are affected to the previous status (the column on the left in the Board view). 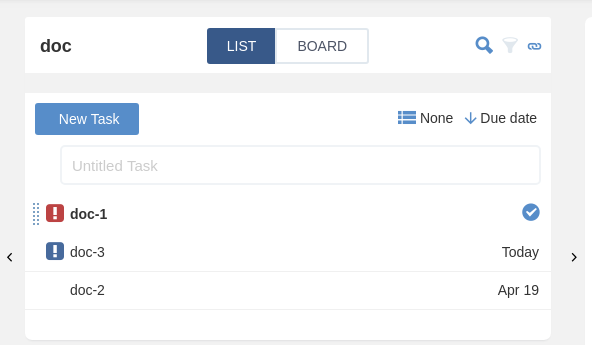 If the status is the first of the list (the first column in the Board view), the tasks will be assigned to the next status (the next column on the right in the Board view). The last status cannot be deleted.